Goodreads Synopsis: As the last child in a family of daughters, seventeen-year-old Janneke was raised to be the male heir. While her sisters were becoming wives and mothers, she was taught to hunt, track, and fight. On the day her village was burned to the ground, Janneke—as the only survivor—was taken captive by the malicious Lydian and eventually sent to work for his nephew Soren. Kara Barbieri is a writer living in the tiny town of Hayward, Wisconsin. 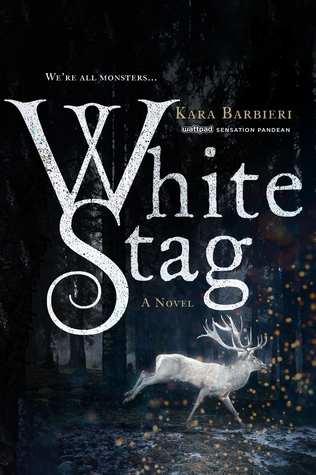 An avid fantasy fan, she began writing White Stag at eighteen and posting it to Wattpad soon after under the pen name of “Pandean.” When she’s not writing, you can find her marathoning Buffy the Vampire Slayer, reviving Gothic fashion, and jamming to synthpop. Are you excited for this book? Have you read it and if so, what do you think?